Some people assume that because I travel often I must be a nomad. I’m not. That doesn’t mean I don’t fantasize about it. 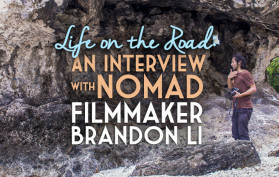 Filmmaker Brandon Li is a nomad. He recently traveled to Guam to produce a short film. We talked a lot about nomadism, as Brandon has been on the road for two years now…. 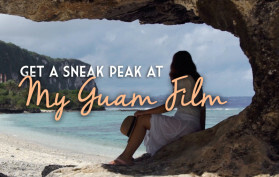 Get a Sneak Peak at My Guam Film! I’ve long wanted to make a Guam travel documentary, a signature piece to showcase the largely undocumented beauty of the island I’ve called home for the last five years. My dream came true when the wildly talented Brandon Li agreed to film it.